Sally M. Prater, 66, of Wallingford, passed away peacefully Wednesday February 28, 2018, at her home with her family by her side. Sally was born in Portsmouth, Ohio, July 31, 1951, to the late Patrick and Betty Wilcoxon Williamson. Sally worked for Al’s Pizza for 30 years, she also worked for Lewis County Foodland for five years. 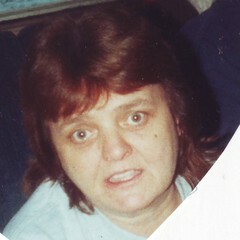 She was a homemaker and loved spending time with her grandchildren whom she adored. Survivors include her husband of 46 years, whom she married October 29, 1971, in Vanceburg, Roger Dale Prater; four daughters and sons-in-law, Michelle (Anthony) Pollitt of Concord, Brakenda (Brian) Stone, Amanda (Michael) Cook, and Alicia (Allen) Bloomfield, all of Vanceburg; two sisters and brothers-in-law, Kathy (Roger) Caldwell of Garrison and Debra (Jack) Tumlin of Vanceburg; 10 grandchildren; one great-grandson; and several nieces and nephews. Services will be at 2:00 p.m. Sunday, March 4, 2018, at Gaydos Funeral Home, 159 Second Street in Vanceburg with Bro. Layne Wagner officiating. Burial will follow in Prater Family Cemetery at Wallingford. Visitation will be from 5:00 p.m. until 8:00 p.m. Saturday, March 3, 2018, and 8:00 a.m. until the service hour on Sunday at the funeral home. Pallbearers will be Jacob Bloomfield, Brandon Stone, Brian Stone, Jeremy Pollitt, Anthony Pollitt, and Michael Cook. Honorary pallbearer will be Kyrstyn Bloomfield.